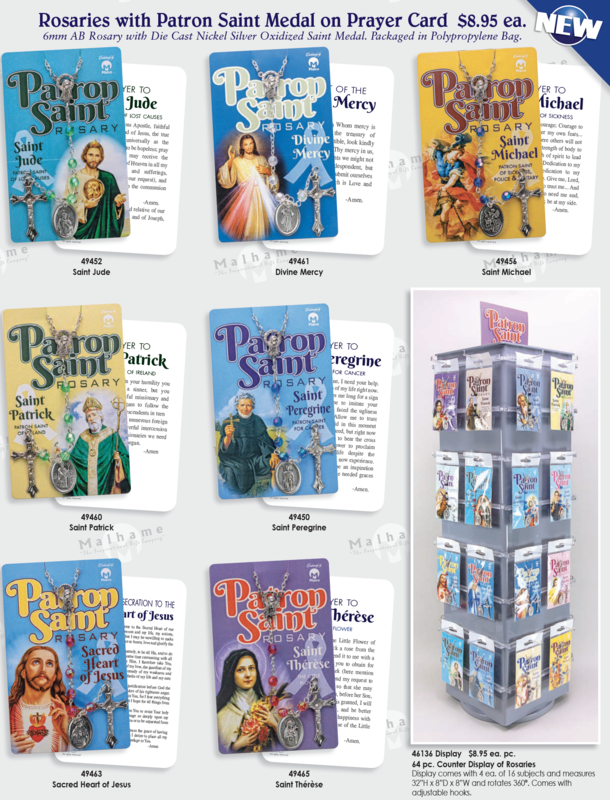 Rosaries with Patron Saint Medal on Prayer Card $8.95 ea. 6mm AB Rosary with Die Cast Nickel Silver Oxidized Saint Medal. Packaged in Polypropylene Bag. ORDER HERE - ORDER INFORMATION 46136 Display $8.95 ea. pc.